Even if your EDC bag is as tough as nails, a little extra protection from getting toppled and knocked around on the ground doesn't hurt — especially when you're hauling an expensive laptop or camera. And just like how suspension hooks for your keys keep them within reach and within sight, Dango's Utility Hook system does the same for larger essentials like your bag, headphones, or jacket. It's a machined aluminum hook that counterbalances your gear off the side of a table, counter, or other flat surface for a hands-free way to keep your gear in place while you're between destinations. For something so seemingly simple in its function, it's executed with thoughtful details that set the Dango Loop Hook apart from any ordinary hardware. The Hook's top hook has a non-slip grip strip that keeps your bag firmly anchored to a surface. Instead of bent metal, the Hook is fully CNC machined from lightweight aircraft grade aluminum for added strength and rigidity. 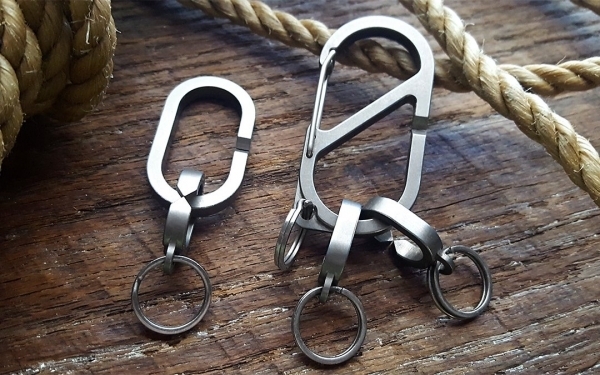 There’s a hole in one end so you can mount it on a keychain. You can opt to keep the Hook on your bag via the machined strap slot too, making it even easier to keep handy. The Hook also slides into a wall-mounted dock to keep your home or office clutter-free. 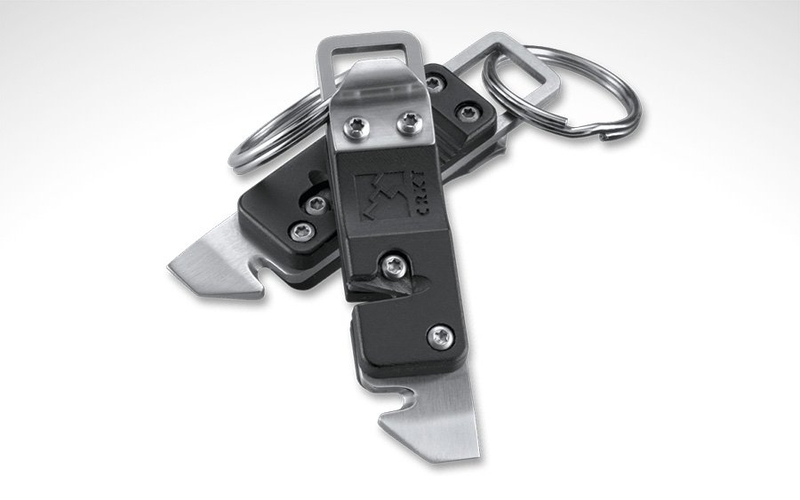 The piece that holds the dock in place even doubles as a bottle opener, making it a multi-functional part of your EDC. When the hook is mounted in the dock, it can function as a standard wall hook for your jacket, bag, and more. The best gear is the stuff you have with you. 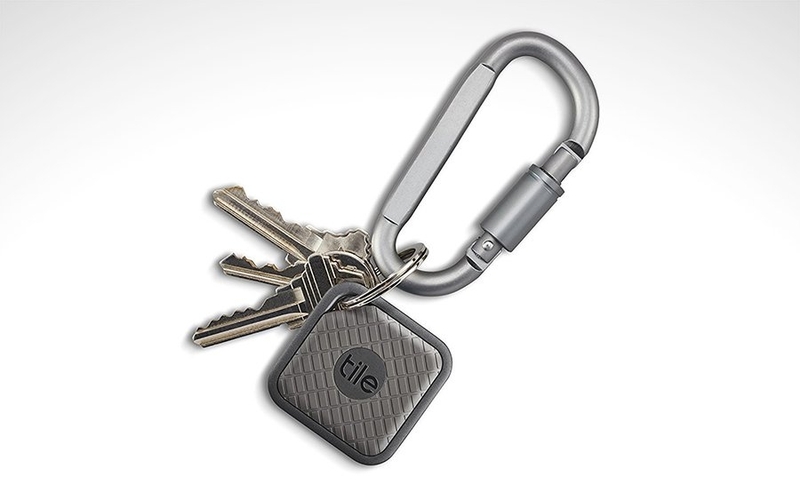 And in terms of convenience and 24/7 access, it's hard to beat your keychain. 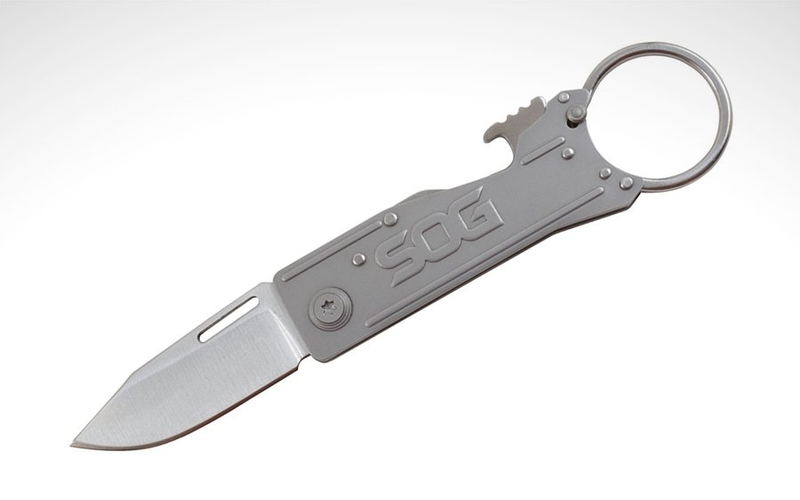 So if you're finding yourself needing a real knife and a bottle opener once in a while, the new KeyTron from SOG might just be what you're looking for. It's a fresh take on the keychain knife with a design that puts its cutting functionality first and foremost. Unlike other keychain-friendly knives, the KeyTron has full-sized features like a lockback mechanism and quick-release keyring built right in. Just by looking at the KeyTron's utilitarian design, you can tell it's meant to be used like a real folding knife. This manual folder deploys with two hands using an elongated thumb hole/nail nick and secures via a lockback mechanism. The KeyTron's 1.8” long, 5Cr15MoV clip point blade gives you a decent amount of knife to work with for quick everyday cutting tasks, too. With knives on the smaller side like this, a lock mechanism is especially helpful for your fingers since there's less generally less of a handle to get a grip on. But despite all its features adopted from full-sized knives, it's still got what it takes to hang with the rest of your keys. For starters, it weighs just 1.3 oz and it's exceptionally thin to avoid awkward keychain bulge. 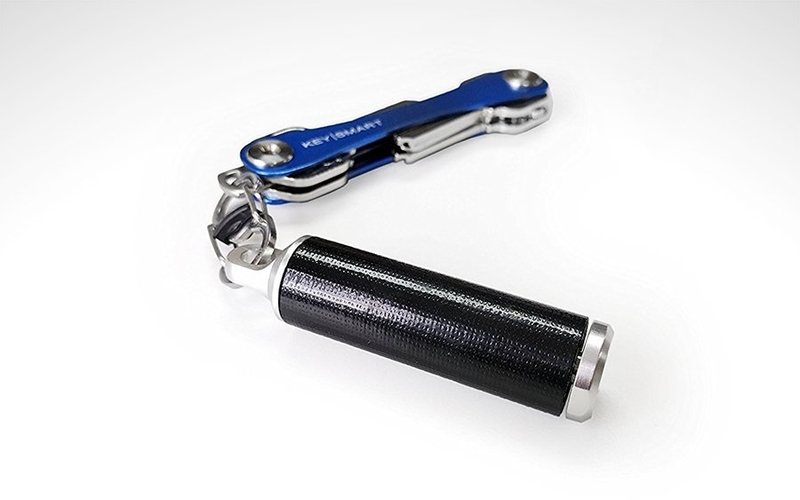 Its built-in bottle opener can replace the one you might already carry, keeping your keyring's bulk to a minimum. Last but not least, it sports an integrated keyring that doubles as extra grip for when you're using the knife. For added convenience, it can open with a deliberate push of a button on the knife itself, sparing your fingernails from prying open split rings. 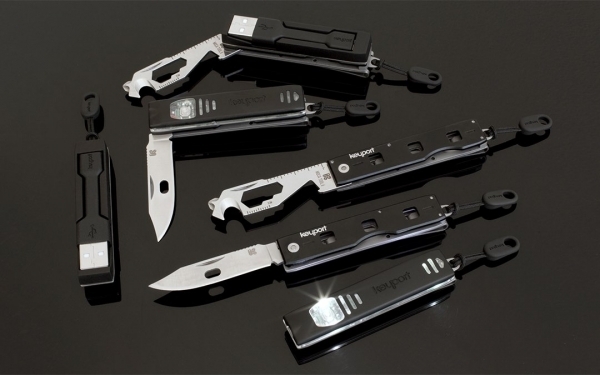 If you can get by with a keychain folder in your EDC, definitely consider the new KeyTron and what its extra features have to offer. Check it out at the link below. If you've ever tried to put together your own EDC, you'll know how easy it is for all that gear to add up quickly. Covering your bases without having a ton of tools weighing you down is a tricky balancing act, and the key is to consolidate where you can. One way to offload your gear is with multi-purpose tools, like the MecArmy FL10. 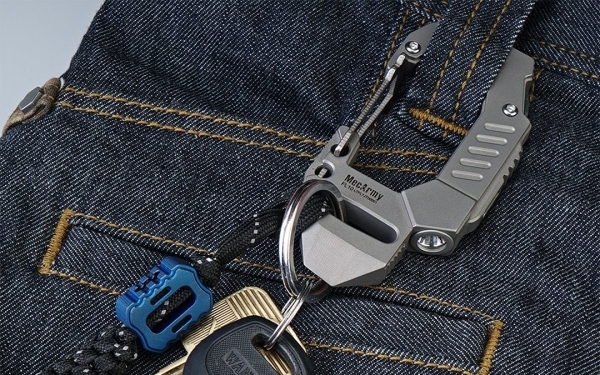 It's one of the few ways to carry your keys, a few tools, and a flashlight all in one thanks to its unique titanium carabiner design. Its TC4 titanium build gives the FL10 ideal properties for an EDC carabiner as it's light, strong, corrosion-resistant, and springy. It has a large jaw and a wire swing gate that can accommodate your keychain and attach to your belt loop or bag. A cut-out in the body lets you carry it on a lanyard if you prefer. 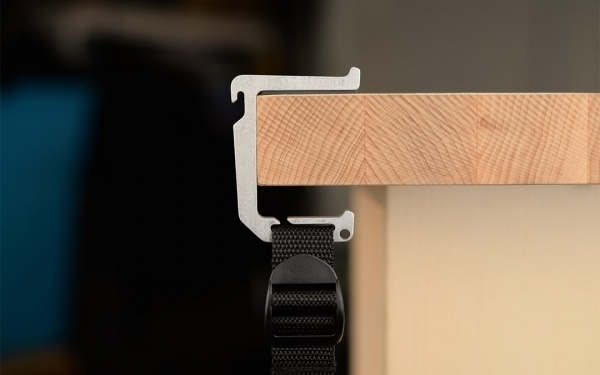 And the frame itself acts as a multi-tool that includes a pry bar, box opener, and a bottle opener. It's also beefy enough to have enough heft for use as a self-defense tool if it comes down to it. It's built tough, but keep in mind you shouldn't use it for actual climbing because it's not rated to do that. Out of all the its features, the centerpiece of the FL10 is the 360 lumen CREE XP-G2 LED flashlight built into the frame. Despite its size it can throw that light out to a distance of about 209 feet. A button on the side of the frame controls modes and outputs. It has low, medium, and high, as well as a turbo and strobe mode. 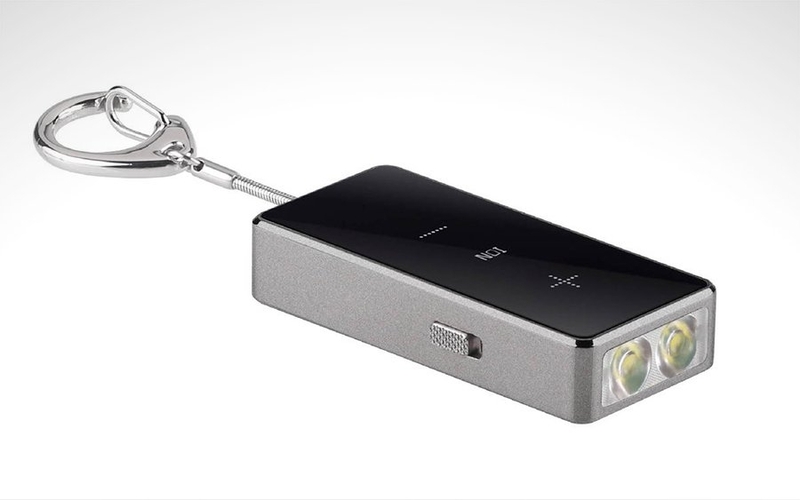 For added convenience, the light is micro-USB rechargeable. 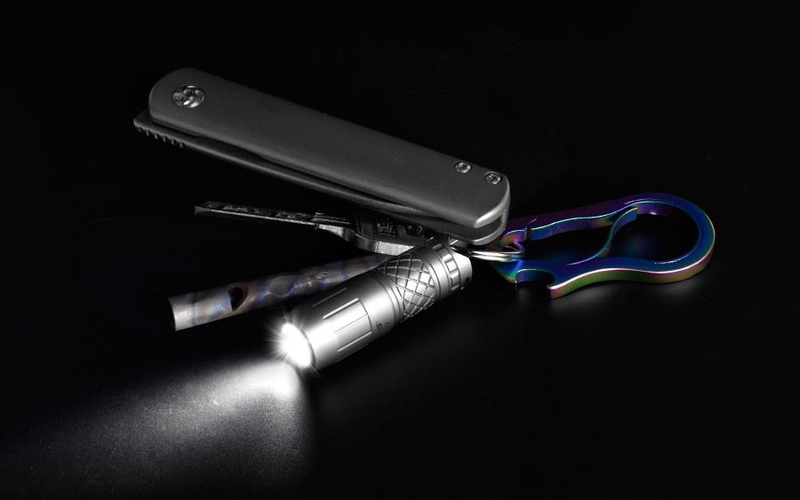 With the MecArmy FL10 carabiner flashlight, you can free up space in your pockets. It helps you organize your everyday carry while letting you keep the essentials at hand. 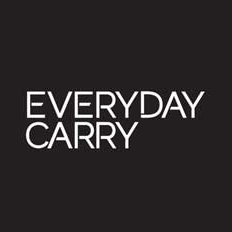 Pick one of your yourself and make it a part of your EDC at the link below. Let's face it — carrying keys is cumbersome. That's why you'll find so many products for organizing keys. 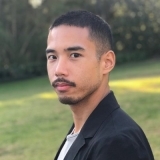 Orbitkey was one of the first to do it, and to this day their key organizer is one of the best minimalist options out there. But if you think about it, once you've got your keys in order, the weakest link in your keychain is the keyring itself. A traditional split ring is so hard to use, you'd rather set it once and forget it. So what do you do when you need to change up your keychain gear? 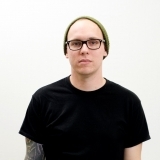 Orbitkey's answer is their newest project, poised to be the next step forward in carrying your keys more efficiently. It includes a completely reinvented keyring, a highly adaptable carabiner and hook, and a wrist strap for versatility beyond your pockets. It's a trio of excellent designs in and of themselves that creates a system greater than the sum of its parts. It all starts with the humble keyring. Deceptively simple in its appearance, the Orbitkey Ring actually conceals a patent-pending locking mechanism that opens easily for quick access, but locks securely when you're on the go. It does this using a clever mix of two materials: stainless steel for the outer ring to provide structure and strength, and a polymer core for flexibility and ease of use. You pinch and pull the tab on the polymer inner ring downward, then rotate it to reveal a gap for your keys and other gear to enter through. For a truly dialed EDC, it isn't enough to just get your keys in order — how you carry them is also important. 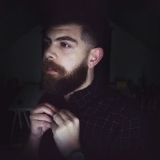 That's where the next part of the Orbitkey system, the Clip, comes in. It's essentially a refined carabiner with elegant proportions, an enlarged ergonomic polymer gate, and a custom leather fob to allow hot-swapping for multiple configurations using a simple metal slider. The last part of the new Orbitkey ecosystem is a wrist strap that works like a longer version of the Clip. It comes especially in handy if you like to attach keys to your bag. The added length and security means you won't have to unclip your keys to unlock your door, and retrieving your keychain from the bottom of your bag becomes much easier. 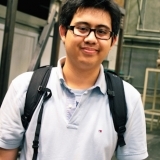 While carrying keys on a wrist strap isn't as popular with guys, it can be repurposed for gear other than keys, like a point-and-shoot camera, too. 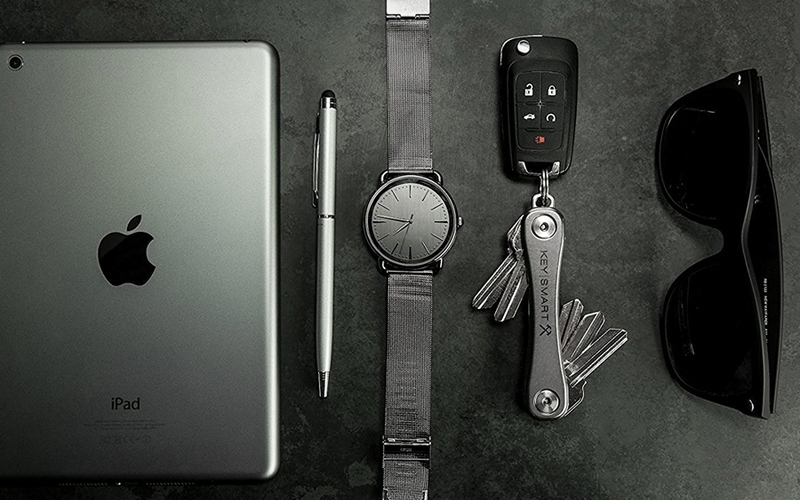 Best of all, the gear works seamlessly with each other as a system, including the original Orbitkey key organizers. Get a closer look at how these designs work at the fully funded Kickstarter below, and pick up a few if you're looking to take your minimalist key carry to the next level. Carrying tools alongside your keys is one thing, but managing it all on your keychain itself is an entirely different beast. Striking a balance between utility and ease of carry means a lot of choices between tools to get everything just right. But sometimes the most effective choice is the simplest one. 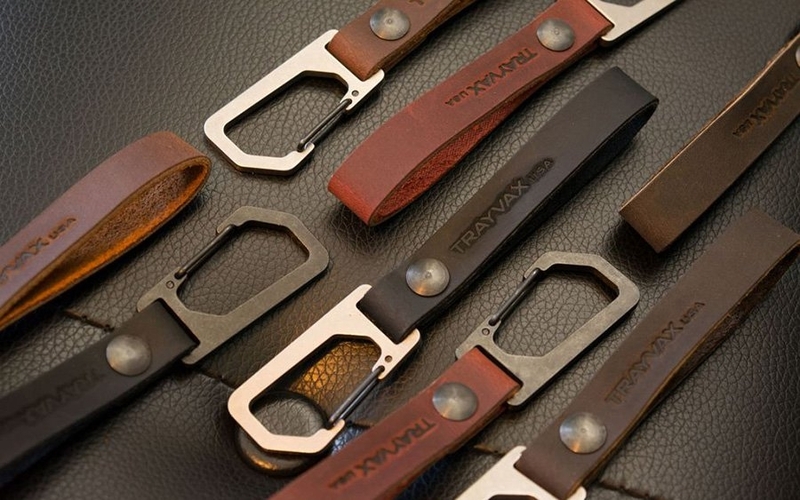 With plenty of robust wallets under (and attached to) their belt, Trayvax takes their commitment to high-quality tools to managing your pockets. 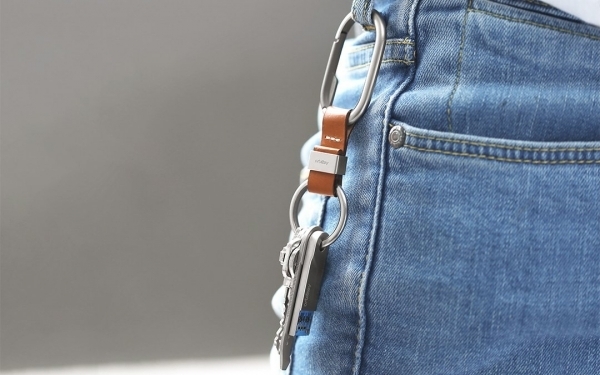 The Keyton Clip is as simple as it gets for keychain managers, but does it so well you aren't likely to need (or want) anything else for your keys. 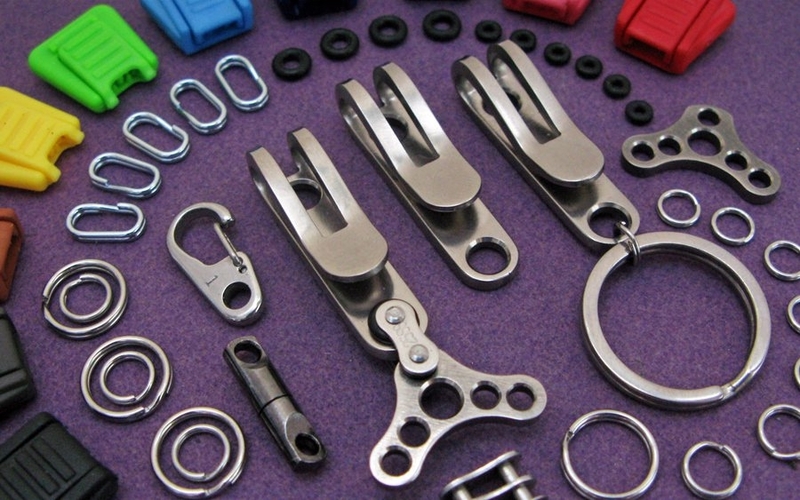 Being the savvy EDCers you are, you most likely have your keychain on lock thanks to a key organizer. But that doesn't mean that some days the savvy runs out and you still somehow manage to misplace your keys. Fortunately, the team at KeySmart continue to innovate their key organizer with the help of the popular tracking device, Tile. Together they've integrated high-tech features into the KeySmart Pro for an all-in-one EDC package that not only manages your keys but elevates their usefulness with some pretty smart features, too. The KeySmart you know and love is still at the heart of the Pro. It uses the same familiar system with two locking bolts to hold up to 14 keys or combination of tools within its frame. This frame holds the key to the Pro's new features. 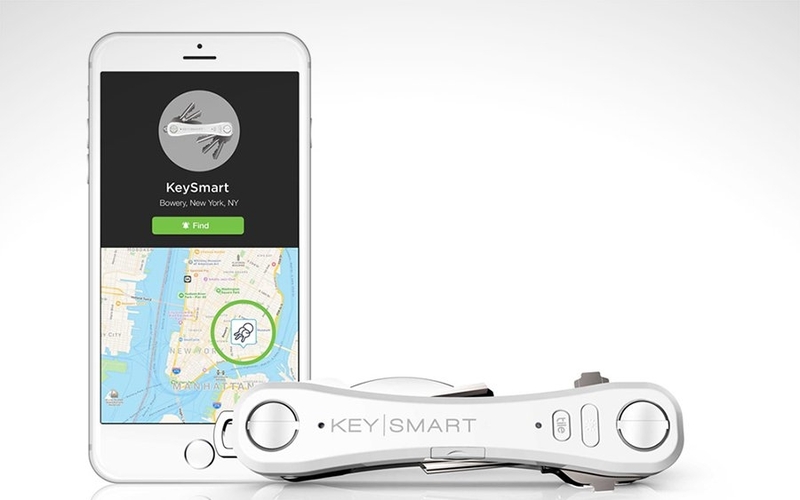 It integrates Tile's smart location feature that pairs with its smartphone app to give you two-way positioning of both your KeySmart and phone. By pressing the Tile button on the KeySmart it makes your misplaced phone ring even on silent, and conversely the app lets you locate the KeySmart on a map, even having it play a tune to make it even easier to find. Smart location isn't the only new feature added to the Pro. The Tile integration gives the KeySmart added space to fit in an LED flashlight and micro USB charging port for even more utility. Thanks to cables and chargers you may already have, it's easy to recharge the KeySmart Pro, topping it up for up to 3 months per charge. 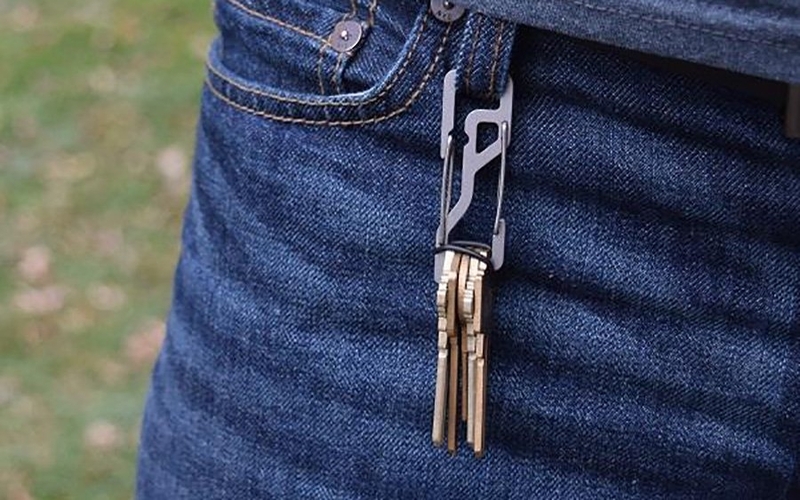 With the KeySmart Pro, your keychain has never been smarter or easier to find. Pick one up at the link below.